It is almost August and I can’t believe how fast this year is going by, it’s incredible and kind of scary if you ask me. The bright side of this is that my birthday is in August, yup I’m a Leo and I love my birthday, it doesn’t matter how old I’m turning. Maybe I wont be saying that in a couple of years, haha! But for now I don’t mind saying my age because it is what it is. Since, we are well into the summer and everyone is enjoying the nice and hot weather, I wanted to share a super easy Caribbean hot dog recipe. It is so delicious and so full of flavor that I want you to make it right now! I saw this recipe in the magazine Family Circle on their front page and I was like ” I need to make this right now, ahora mismo”. 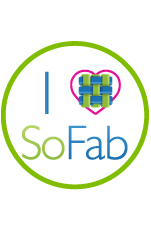 I received a one-year free subscription thanks to JustFab (shoe website), haha! 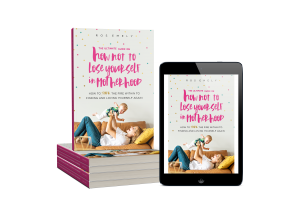 I love reading and looking at all of the delicious recipes that they share with their readers. Since I had the ingredients that I would need to make this Caribbean hot dog recipe at home, I went for it and made it. I never ran so fast to the kitchen in my life, I don’t know but that Caribbean hot dog recipe just intrigued me so much (maybe because I’m Caribbean?). It was so worth it and I’m glad I gave it a try. It literally just took a few minutes to make and it was very fulfilling to say the least. You know what? My kids loved it too which I found surprising since it had raw red onions in it. I think the mango chunks won them over and I am not blaming them because the mango added such a great sweetness to it, but at the same time it wasn’t over powering, you know? It was the perfect combination of sweet and savory that you need in your life! Once the franks are done cooking, drain the water and start assembling to make these Caribbean hot dogs. Toast the hot dog buns first if you want (I did! 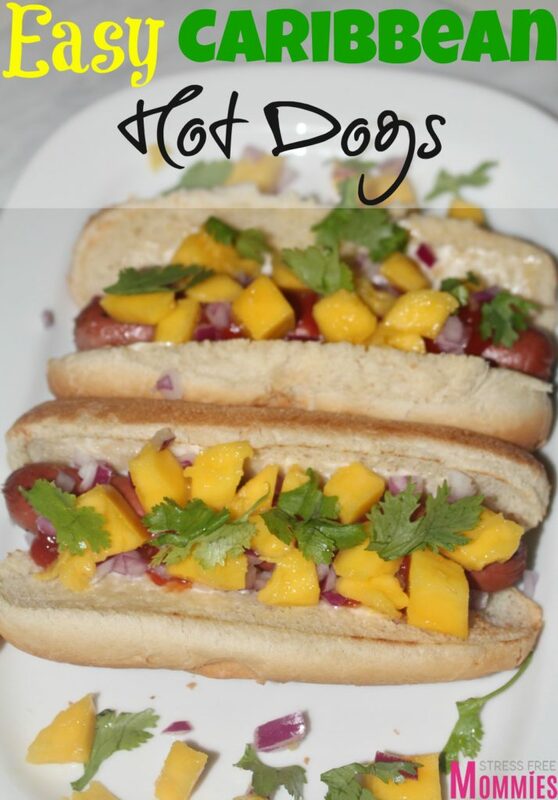 ), then add mayo, the hot dog frank, ketchup, mangoes, red onions and last the cilantro! The recipe from Family Circle doesn’t call for mayo and ketchup, but I had to add it because what’s hot dog without ketchup, right? Their recipe has chile and lime juice which I didn’t put on mine. But, let me just say that these Caribbean hot dogs tasted Amazingly good. You have a contrast of flavors and textures that makes it super delicious and enjoyable to eat. You got the sweetness of the mangoes, the crunch of the red onions, the herb and freshness of the cilantro. I mean, should I keep going? or should I stop writing so you can go running to the kitchen (like I did) to make this!? I thought so, Have a great day! Es casi Agosto y no puedo creer lo rápido que este año se esta llendo, es increíble y un poco miedoso si me preguntas. El lado positivo de esto es que mi cumpleaños es en Agosto, yup soy una Leo y amo mi cumpleaños, no importa la edad que voy a cumplir. Tal vez no voy a estar diciendo eso en un par de años, jaja! Pero por ahora no me importa decir mi edad, ya que es lo que es. Dado que, estamos bien adentro del verano y todo el mundo está disfrutando del buen tiempo y calor, quería compartir una receta súper fácil de perros calientes Caribeños. Es tan delicioso y lleno de sabor que yo quiero que lo hagas ahora mismo! Vi esta receta en la revista Family Circle en su portada y yo estaba como que “Necesito hacer esto ahora, right now”. He recibido un año de suscripción gratuita gracias a Justfab (página web de zapato), jaja! Me encanta leer y mirar todas las deliciosas recetas que comparten con sus lectores. Ya que tenía los ingredientes que necesitaría para hacer esta receta de perros calientes en casa,lo hizo. Nunca corrí tan rápido a la cocina en mi vida, no sé, pero la receta de perros calientes caribeños me intrigó tanto. Vale la pena y me alegro de que le di una oportunidad. Literalmente, sólo tomó unos minutos para hacer y fue muy satisfactorio para decir lo menos. ¿Sabes que? A mis hijos les encantó que me pareció sorprendente, ya que tenía cebollas rojas adentro. Creo que los trozos de mango los convencio y yo no los culpo a ellos porque el mango añadió una gran dulzura, pero al mismo tiempo no fue abrumador, ¿sabes? Fue la combinación perfecta de dulce y salado que necesitas en tu vida! 2. Una vez que las salchichas se han cocinado, escurrir el agua y comenzar a ensamblar para hacer estos perros calientes caribeños. 3. Tostar los panes para perros calientes primero si usted quiere (yo lo hice! ), A continuación, agregar la mayonesa, la salchicha, la salsa de tomate (ketchup), mango, cebolla roja y el cilantro! La receta de Family Circle no requiere la mayonesa y la salsa de tomate, pero tenía que añadir, porque, que es perro caliente sin salsa de tomate, ¿verdad? Su receta tiene jugo de limon y chile, que no puse en la mía. Pero, permítanme decir que estos perros calientes Caribeños tienen un sabor increíblemente bueno. Usted tiene un contraste de sabores y texturas que hace que sea muy delicioso y agradable para comer. Tienes la dulzura de los mangos, el crujido de las cebollas rojas, la hierba y la frescura del cilantro. Es decir, debería seguir adelante? o debería dejar de escribir para que puedas salir corriendo a la cocina (como yo) para hacer esto !? Pense lo mismo, espero que tengas un bonito dia! Oh man, I don’t even like hot dogs and these look good! Haha!!! They do look good right, maybe you would give this a try?? Mango?! I would have never thought but now I can’t wait to try! And the wheels are turning in my head… lots of ideas right now…. thanks for sharing this! Girl I am so happy to have found your blog! 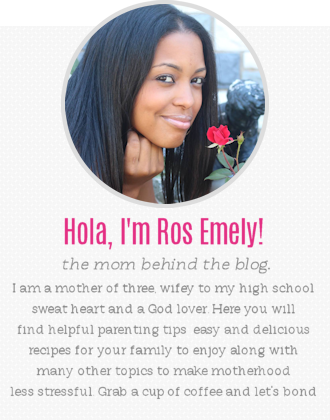 I am a latina blogger too! 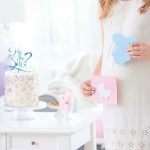 I have been meaning to blog in spanish and have been so scared. You just encouraged me to take the plunge. This recipe sounds and looks so yummy! Anything with mango and I am in. Happy early birthday btw! Thank you Mimi! These are so perfect for BBQ’s! You know I was a little scared to try it with mango but I have to say it really taste so delicious! This looks SO good – I never would have thought of trying something like this before! Holy cow these look so unique and yum!!!! Girl! 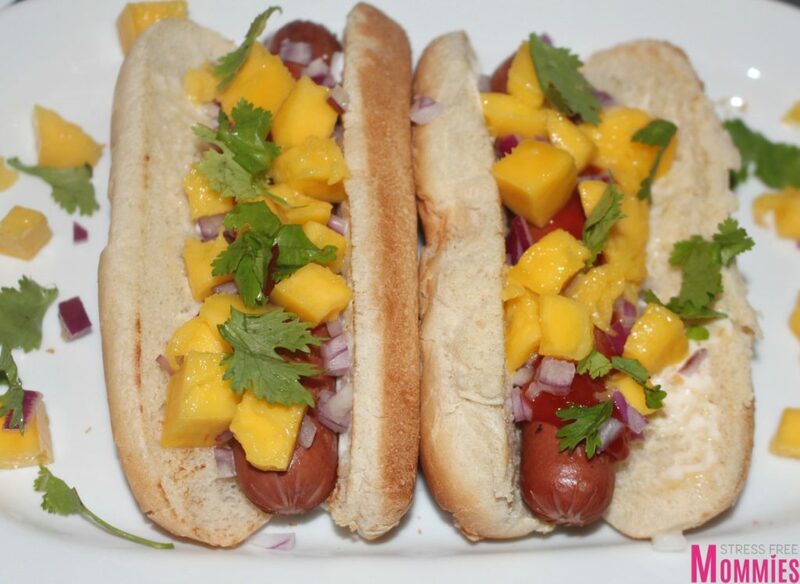 Those hot dogs look delicious, Do you add any other fruits beside mango? Haha, they do don’t they?? Johanny you can add pineapples if you want, I’m sure it will taste equally delicious!